Raleigh, N.C. – Smith Anderson client CJ Scarlet created Tiger Eye, a technology aimed at reducing violence against women. The centerpiece of the technology is a device about the size of a quarter, which will call police and start recording video footage as soon as the wearer yells “help.” Smith Anderson is pleased to serve as legal counsel to Scarlet, and the firm’s Start-Ups practice group is working closely with her to help structure and position her innovative business for growth and success. The Raleigh News & Observer recently published a story on Scarlet and the Tiger Eye technology. CLICK HERE to read this article in full. We advise entrepreneurs and emerging companies on every stage of forming, feeding and growing their innovative businesses and we connect our clients with the people and resources they need. Whether you’re a professor with a patent, an individual with a new invention or an undergraduate with a brilliant idea, we can help clear the path, freeing you to apply your energy to succeeding on your own merit and your own terms. 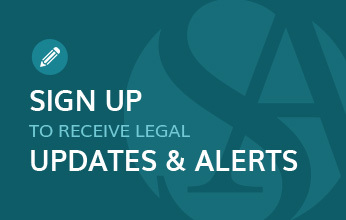 For more information, visit www.SmithLaw.com/StartUps.